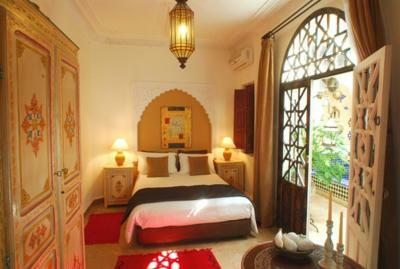 Lock in a great price for Riad La Terrasse Des Oliviers - rated 9.4 by recent guests. The place and the staff are very nice. 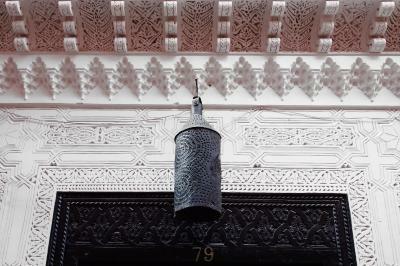 We stayed in the Riad for 3 nights and it was a very good experience. The owner is very helpful on providing all information for Médina. Breakfast on the roof terrace! The host and staff. Renaud and the staff are just incredible hosts. An amazing induction at the start and a lot of great tips and caring from everyone that works at the Riad. The room is very comfortable and clean. We had a great sleep and very silent stay despite being located inside the old town. 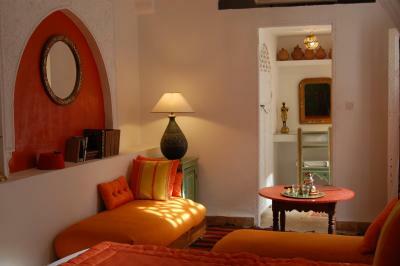 The riad is an absolute gem, tastefully decorated in true authentic Moroccan style. The staff is adorable, extremely polite and helpful. Renaud was a superb host. After his welcome chat we feel completely equipped to take on the city, with great restaurant recommendations to boot. 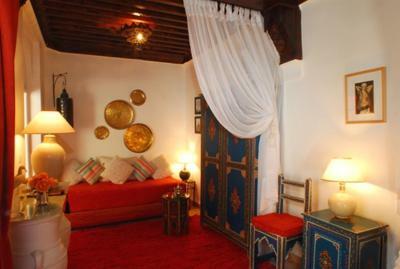 Beautifully decorated small Riad with great breakfast and I also had a lovely dinner there. Renaud, the owner of the Riad was a perfect host - he explained everything to see and to do, gave good tips where to eat in the city (without gaining profit from it), the rooms had free coffee (Espresso! ), tea and bisquits for the guests - all in all: perfect! 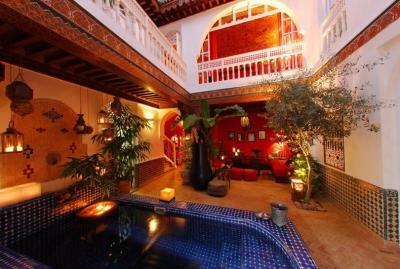 This is a brilliant Riad in an authentic part of the medina, perfectly placed between the attractions of the old town and the Nouvelle Ville. Service was excellent with a great introduction and recommendations from Manager Renaud and friendly staff on the premises round the clock. Breakfast on the roof terrace in December was a great treat (especially as you can ask for it any time between 8:30 and 12:00). 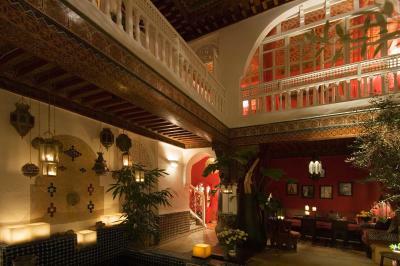 We didn’t eat in the Riad, but other guests did and it looked great. Two tips: If you want to go to Jardin Majorelle (only 15 mins by foot), go first thing in the morning (we breakfasted after). From 10:30ish the queues get ridiculous. 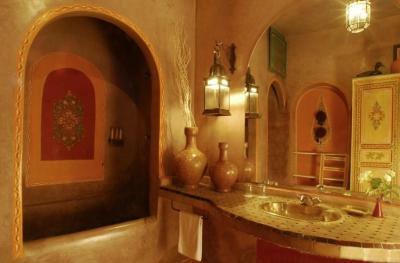 If you like the idea of a hammam visit, take up Renaud’s recommendation of the Heritage Spa. We did a hammam and massage as a treat on Christmas Day and it was defo worth it! Felt very welcome, fantastic stay, the owner organised everything from start to finish and gave us an overview of what to see in the old town. Great dinner, excellent breakfast, pleasant atmosphere and friendly staff. 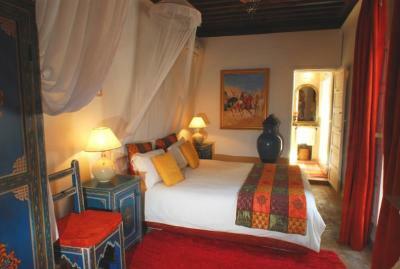 Very authentic Riad, highly recommended! 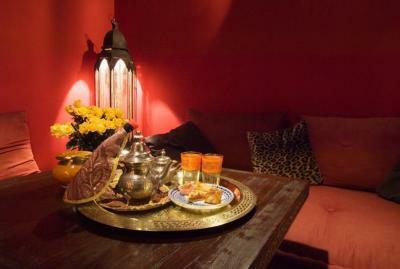 Traditional Moroccan cuisine can be served in the dining room or on the furnished terrace. 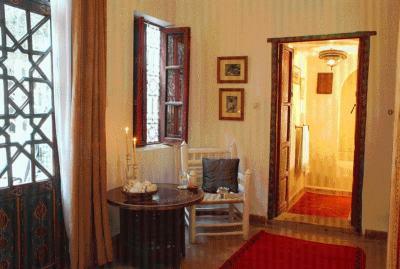 Guests are invited to relax on a deckchair on the sun terrace or watch a DVD in the living room. 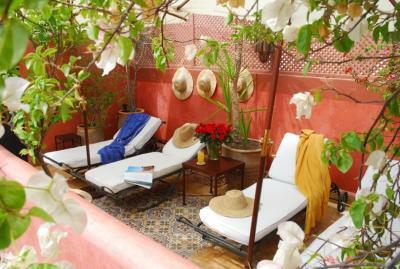 Riad La Terrasse Des Oliviers can organise excursions to Essaouira, Ourika Valley or the Atlas Mountains at a supplement. It also offers car rental. 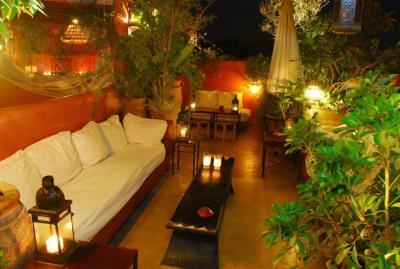 This Riad is situated 10 minutes on foot from the Majorelle Gardens and the Bab Doukkala Bus Station. 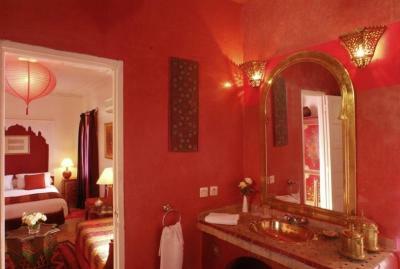 It is an 8-minute drive from Marrakech Train Station and a 15-minute drive from Marrakech Menara Airport. 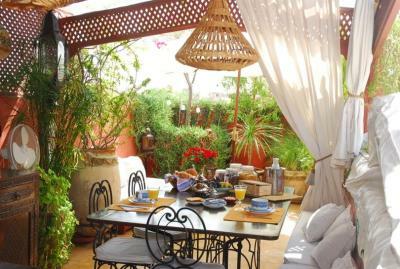 Riad La Terrasse Des Oliviers has been welcoming Booking.com guests since 9 Dec 2011. 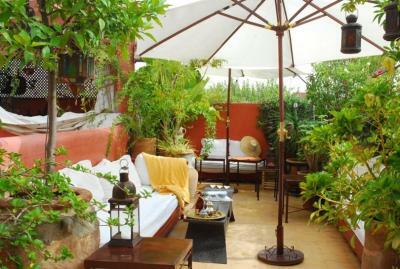 When would you like to stay at Riad La Terrasse Des Oliviers? 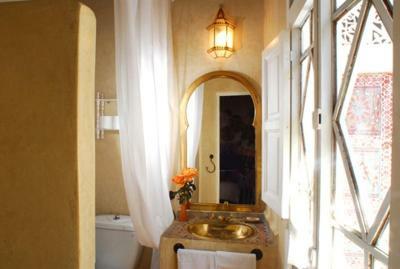 This room offers Moroccan-style seating and a private bathroom decorated with Zellige tiles. It has pale walls and is decorated with accents of colour. 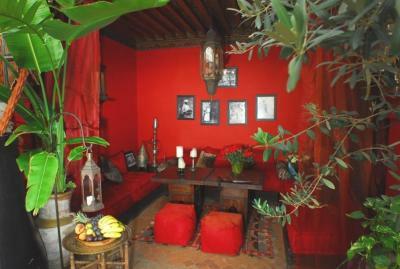 House rules Riad La Terrasse Des Oliviers takes special requests - add in the next step! 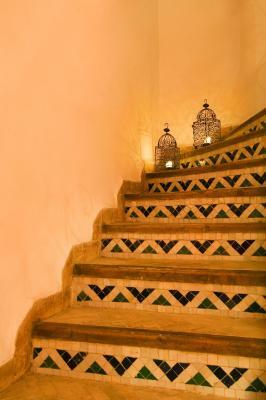 Riad La Terrasse Des Oliviers accepts these cards and reserves the right to temporarily hold an amount prior to arrival. 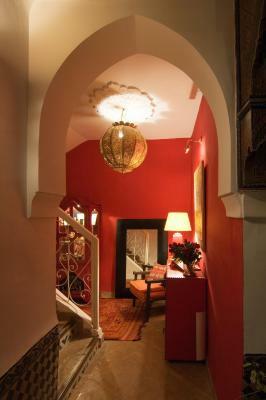 Please inform Riad La Terrasse Des Oliviers in advance of your expected arrival time. You can use the Special Requests box when booking, or contact the property directly with the contact details provided in your confirmation. The rooms do not have fresh air since the windows go into the court which is covered with glass - one gets used to it! 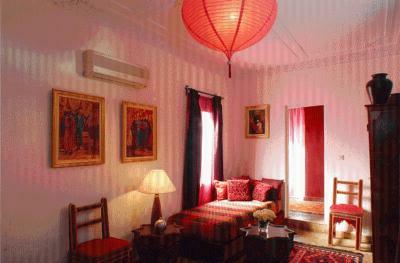 Really lovely riad, the owner was extremely welcoming and helpful, beautifully decorated. Rooftop terrace is lovely. 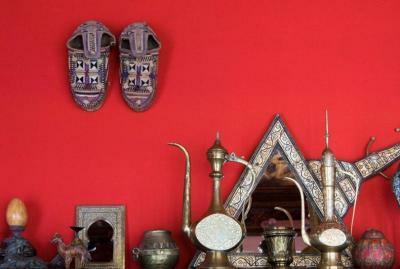 Everything you could want while staying in Marrakech! Nothing at all. We truly loved it. Awesome Riad. We couldn't have asked for more. 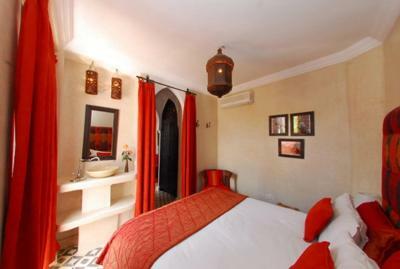 Clean, safe, comfortable, stylish Riad in a fantastic position. The staff could not have been friendlier or more helpful, the breakfast was delicious and the roof terrace was beautiful. It was a peaceful oasis in the middle of the craziness of Morocco. 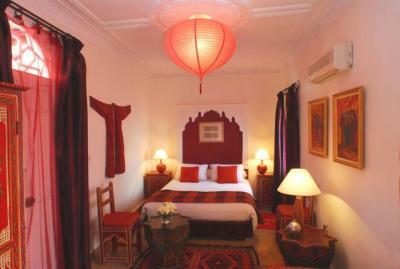 We really loved our stay here and this Riad deserves the high rating we have given it. 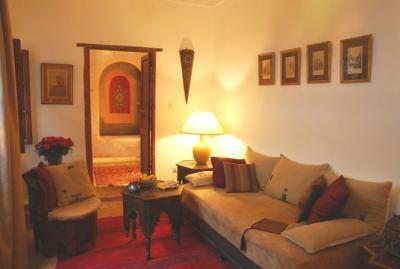 Riad style and very friendly staff make you feel at home. 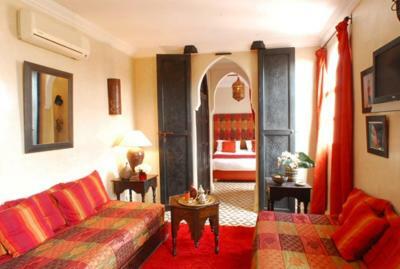 The rooms are very stylish and comfortable.